President Donald Trump said Wednesday that Electronics giant Foxconn will build a $10 billion factory in Wisconsin that's expected to create 3,000 jobs. The announcement comes at a critical juncture for a Trump administration that pledged to generate manufacturing jobs but has struggled to deliver results as quickly as the president promised. Trump's plans for health care and tax cuts face an uncertain future in Congress, while his administration is bogged down by an investigation into Russia's possible ties with his presidential campaign. The factory will produce liquid-crystal display panels that are used in televisions and computer screens, according to a senior White House official who insisted on anonymity to discuss the announcement. Foxconn will locate its plant in the congressional district of U.S. House Speaker Paul Ryan, although the official declined to provide a specific location. Foxconn could eventually employ 13,000 workers at the factory, the official said. This would mark a substantial gain for a state that currently has 472,000 manufacturing jobs and is still recovering from factory layoffs - including the closure of a General Motors plant in Ryan's hometown - that hit after the 2008 financial crisis. Taiwan-based Foxconn is perhaps best known for assembling Apple iPhones in China. The official said the White House was closely involved in Foxconn's decision to locate a factory in the United States and that the president had met personally with Foxconn chairman Terry Gou. Seven states had competed for the Foxconn plant. 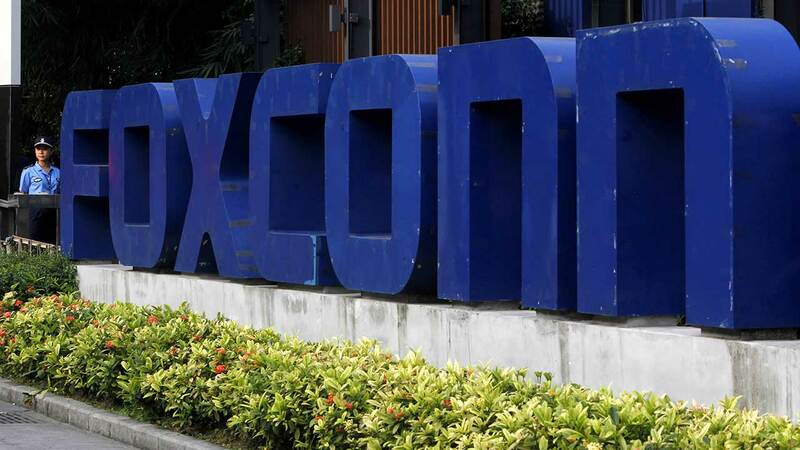 The administration said it did not help steer Foxconn to Wisconsin in what would appear to be a victory for both Trump and the state's Republican governor, Scott Walker, who is up for re-election next year. Foxconn did not immediately return messages seeking comment Wednesday. Other states vying for the plant are Michigan, Illinois, Indiana, Ohio, Pennsylvania and Texas. Walker and several other Wisconsin officials, including Ryan and Democratic U.S. Sen. Tammy Baldwin, were expected at the White House announcement. Republican leaders in the Wisconsin Senate have said Walker has been negotiating a memorandum of understanding with Foxconn to build such a factory in southeast Wisconsin. Critics have cautioned that Foxconn has made promises before to invest in the U.S. and not followed through. Foxconn promised in 2013, for example, to invest $30 million and hire 500 workers for a new, high-tech factory in Pennsylvania that was never built. Wisconsin could be on the hook for billions of dollars in incentives as part of the deal, though no details of the state's proposal have been released. State Sen. Alberta Darling, co-chair of the Wisconsin Legislature's budget committee, said any deal would be examined with a "fine-toothed comb" and need to win approval by the Republican-controlled Legislature. "It's an exciting opportunity," said Democratic state Assembly Minority Leader Peter Barca. He also met with Foxconn executives and said Walker's administration told him the deal could lead to 10,000 or more jobs.